What a fun bag to make! 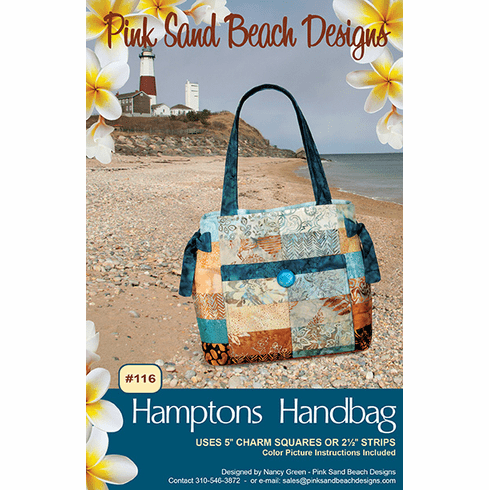 Piece the bag outside by using a pack of 5" charm squares or a set of 2 1/2" strips such as Hoffman's Bali Pops. This stylish bag has two pockets on each side and ties at the top side edge. Great class for beginners and intermediate sewers.